This inspiring book examines themes of forgiveness, reconciliation and conflict transformation. 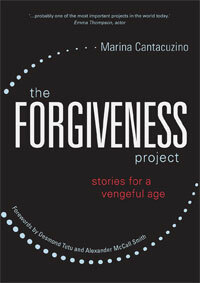 It brings together 40 thought-provoking and powerful real life stories from survivors and perpetrators of crime and violence around the world who have chosen to explore forgiveness as an alternative to resentment, retaliation and revenge. They are from a diverse range of situations and places including Africa and the Middle East and include a piece by one of our Movement Medicine teachers – she doesn’t use her own name for reasons she explains in her piece, but you might recognise her dancing feet.